In September, Flint Mayor Karen Weaver hosted “Millennial Day” at the Ferris Wheel to hear directly from that target demographic – ages 22-36 – on what it will take to retain talent and re-grow the city. Part of the answer is simple: jobs and economic opportunity, according to Linnette Phillips, Flint’s deputy director of economic development. “We want to increase our population, so we are going to create some opportunities for our young people to stay here and for other people to come and stay here,” said Phillips, during the forum. This challenge is not limited to just Flint & Genesee. State economists and demographers say future population growth in Michigan will become increasingly dependent upon migration of people into the state, especially as Baby Boomers continue to leave the workforce. However, without a sufficient number of qualified workers, combined with an aging workforce eyeing retirement, labor shortages could impede economic growth and opportunities throughout the state, including Flint & Genesee. While Flint’s colleges and universities and an increasingly revived, walkable downtown is a draw for students, the area’s full potential for renaissance depends largely on whether job opportunities here will continue to increase enough to maintain the graduating population while attracting others to the area. 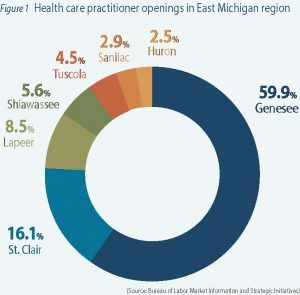 Genesee County has a strong start with major employers for health care-related occupations coupled with a modest but steady rise in manufacturing, state demographers also project additional growth in the East Michigan Prosperity Region – an area that also includes Shiawassee, Lapeer, Tuscola, Huron, Sanilac and St. Clair counties. It is one of 10 such regions in the state. 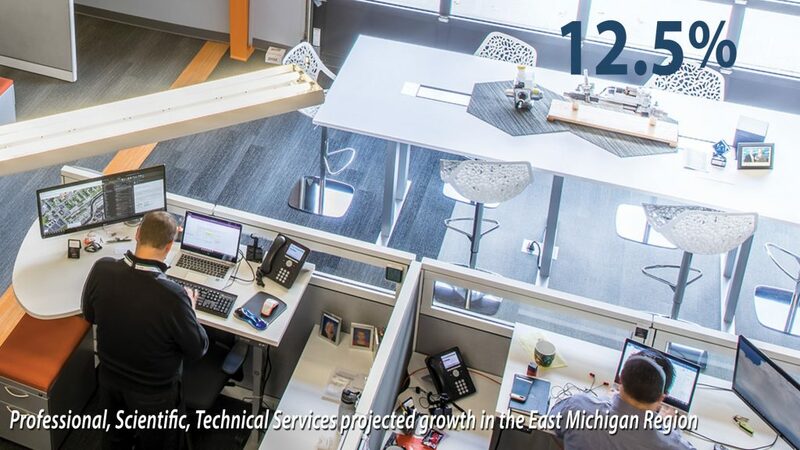 “Employment in the East Michigan Prosperity Region is expected to increase by 4.2 percent through 2024,” said Dylan Schafer, economic analyst for the Bureau of Labor Market Information and Strategic Initiatives (BLMISI). While Genesee County is expected to trail the 7-percent growth rate statewide, the labor market is still looking up. Ambulatory health care services have an average hourly rate of $32.37, according to the U.S. Bureau of Labor Statistics. The sector consists of the following industry groups: physician offices, dental offices, allied health professionals, outpatient care centers, medical and diagnostic laboratories, home health care services and other ambulatory health care services. 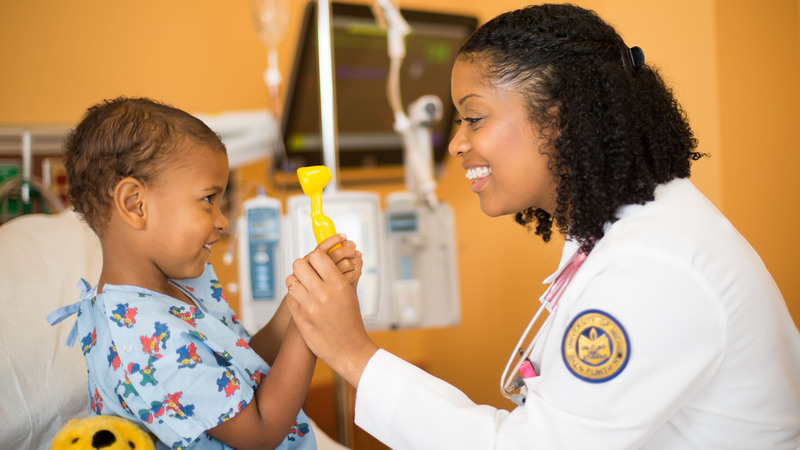 Moreover, the University of Michigan-Flint, Michigan State University College of Human Medicine, Mott Community College, Baker College of Flint and Kettering University all offer training and degree programs in health sciences, in Flint alone. Based on the projected job increases, there should be ample opportunity for graduates to secure work in the health care services sector. In addition, Flint & Genesee is home to three major hospitals – Ascension Genesys Hospital, McLaren Flint (named one of Michigan’s top hospitals by U.S. News & World Report) and Hurley Medical Center, a Level I Trauma Center and Level II Pediatric Trauma Center. McLaren Health Care, McLaren Flint’s parent company, and Diplomat Specialty Pharmacy, the nation’s largest independent provider of specialty pharmacy and infusion services, are also headquartered in Genesee County. Statewide, Michigan is still largely made up of manufacturing jobs, despite the decline in the overall number of jobs in those industries nationwide. Metal workers and plastic workers made up 31 percent of all production occupations, and 3.2 percent of all jobs in Michigan. The concentration of jobs in this category was much lower nationally, at only 21 percent of production occupations, and 1.3 percent of all occupations in the U.S.
Flint & Genesee is home to nearly 300 manufacturing firms that employ more than 13,000 people. 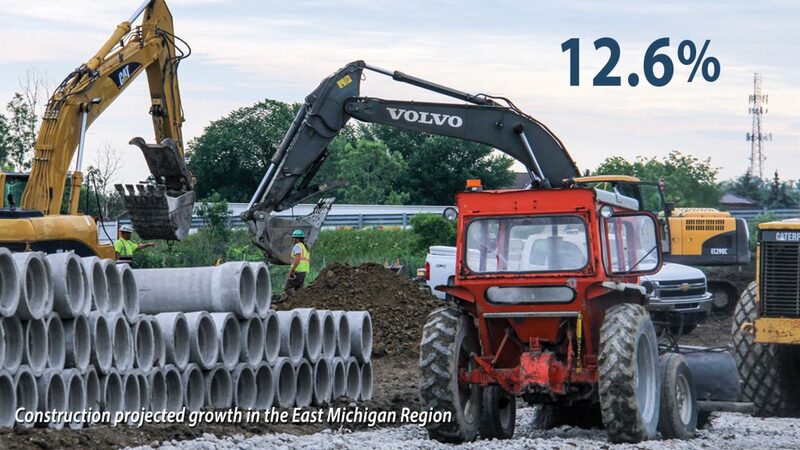 Even considering the historic reduction of automotive manufacturing in Genesee County from the peak employment levels of the 1970s, there is still a projected 2.9 percent growth expected in the next ten years. Average wages for the manufacturing sector range from $13.31 to $20.44, according to the Bureau of Labor Statistics. There has been investment in manufacturing in the area—including General Motors, TMI Climate Solutions, Lear Corp., Magna Corp. and Domico Med-Device (see the Member Spotlight on p. 10), among others, all investing in the last five years. The expectation is that the sector will remain a steady source of jobs, with modest growth projected over the next 5-6 years. Many of these occupations do not require a college degree, though some form of post-secondary education or specialized on-the-job training is often necessary, they offer the opportunity for wages at or above the overall median wage in Michigan ($17.62). And the projected growth in employment is not limited to “traditional” or heavy manufacturing. Manufacturing jobs in the state’s food and beverage industries is expected to climb by 15.2 percent in the East Michigan region, more than double the overall rate for the state. 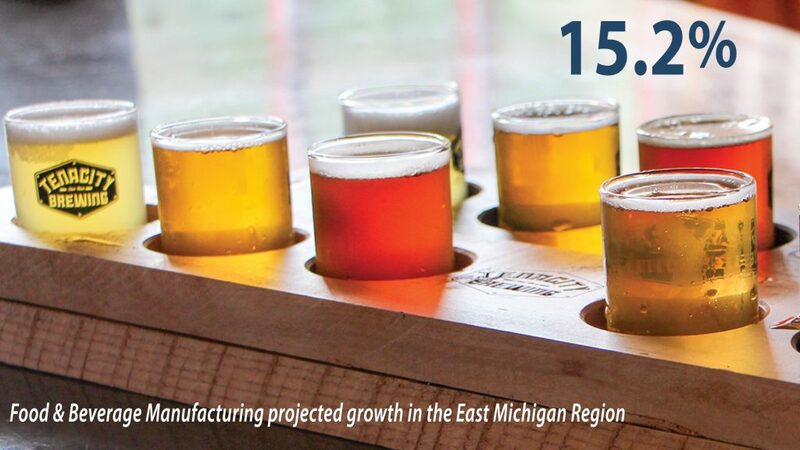 That is mostly attributed to Michigan’s increase in breweries and wineries. Local entrepreneurs in the beverage manufacturing sector have also capitalized on the “shift in taste and consumption habits,” with the likes of Tenacity Brewing, Fenton Winery & Brewery, Lynchpin Beer Co., The Red Baron, Redwood Brewing Co., Redline Brewing Co., Almar Orchard and Porter’s Orchard. Meanwhile, coffee manufacturers, including Fireside Coffee, Flint Coffee Co. and the Coffee Beanery, are finding success serving up tasty brews of a different variety. Anticipated growth in the professional, scientific and technical services sector is another bright spot for the region, with an average hourly rate of $41.83 (in July of 2018), according to the Bureau of Labor Statistics. The occupations run the gamut, from legal and accounting services, to architectural and engineering, research and development, to information technology and related services. It is also an area where Flint & Genesee’s wealth of post-secondary education resources offer current and prospective residents the opportunity to prepare for these jobs, which often require at least a bachelor’s degree. Meanwhile, the construction sector, with a projected 12.6 percent increase in jobs over the next decade, will need electricians, plumbers and pipefitters, and other skilled trades to fill its ranks, where the average hourly rate was $27.87 in September, according to the Bureau of Labor Statistics. With these projected job increases, besides an unforeseen external shock to the labor market, there are other things that can affect these projected numbers. Still, for those with the right preparation and training, the future looks encouraging in a host of occupations. And the communities that stand to benefit will be those where the opportunities are greatest, for the millennial and non-millennial worker alike.